10 years ago, Google brought the Chrome internet browser into this world. At a time when Firefox was battling the giant Internet Explorer and Safari was used by a few, Chrome marched in and built an empire for itself. Most switched to Google Chrome around 8 years back, and since then, have never looked back. 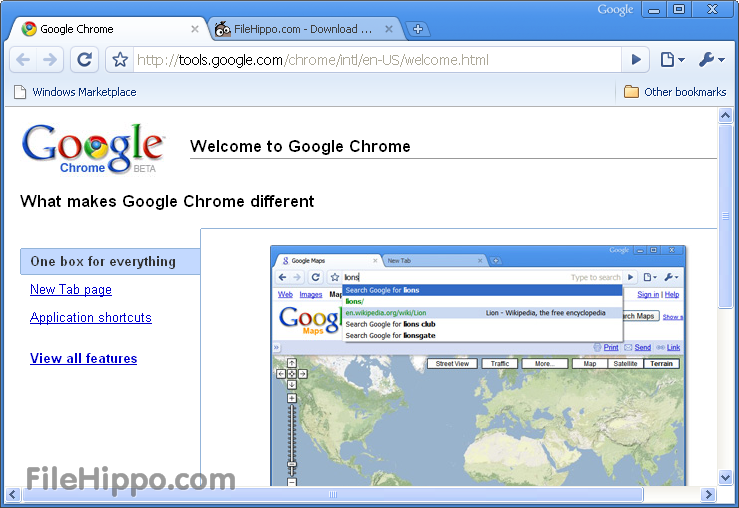 Google officially introduced Chrome in 2008 and it supported Windows at that time. By 2009, the company released Chrome for Mac Os and Linux as well. 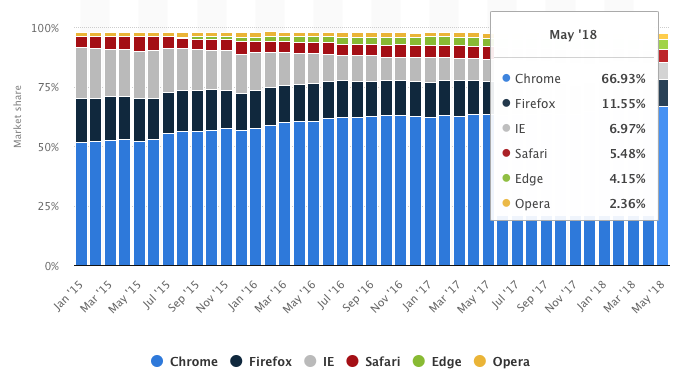 Fast forward to 2018 and Chrome now holds more than 60% of the internet browser market share, way ahead of its competition, the closest holding 11 %. The journey has been incredible, both for Google and the users. So here’s a look at 10 years of Chrome and the revolution that it brought along. In the early 2000’s, the only competition Microsoft had was from Netscape. After it gained certain victory over Netscape, Microsoft now dominated the market, mostly because it had no rival. 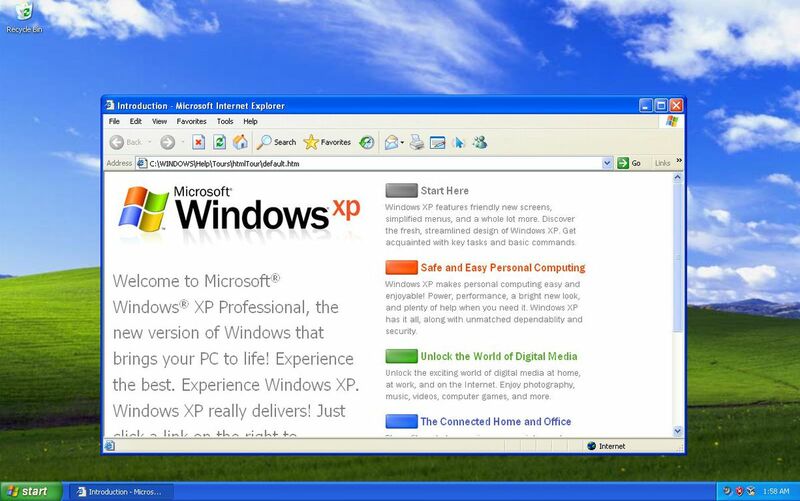 Microsoft introduced the Internet Explorer 6 along with Windows XP. Internet Explorer 6 worked very well with certain features of XP and came into a booming internet market. The users of Windows XP utilised IE 6 to access the web and soon it became synonymous with the internet for those users. IE 6 continued to rise in popularity and soon commanded more than 90% of the market. The top position gave Microsoft the power to do what it felt, or so it thought. Microsoft started disregarding open web standards and policies. Most websites started optimising themselves for IE 6, giving one the best experience. With the rising popularity of the web, were set which would help developers design sites to work across various browsers and platforms. Microsoft largely ignored these standards. With the rising popularity of IE 6, developers had no other way out than to optimise their websites for IE. Soon competition rose in the form of Firefox and it came out with new features such as tabbed browsing and a pop-up blocker. With IE 7, Microsoft introduced tabbed browsing and a few other features to ensure its relevance is up to date. However, it didn’t make much of an effort to improve its compliance with web standards. The criticism against Microsoft started growing. Google Chrome came crashing down on this. It focused on web standards and passed the Acid 1 and Acid 2 tests. These tests determined the degree of compliance with web standards that a browser exhibited. Microsoft had not been able to pass these tests at that point of time. Soon, developers started moving towards Chrome as they could now build better websites based on web standards. 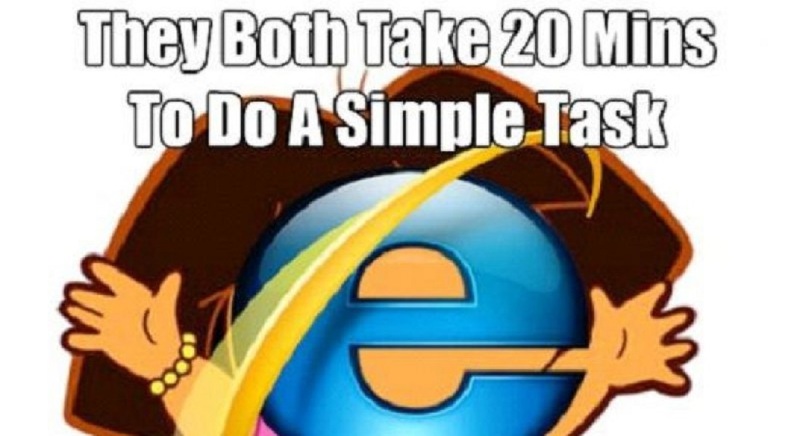 Now Microsoft had two threats to worry about and the internet browser battle ensued. Google used components from Apple’s WebKit rendering engine and Mozilla’s Firefox to help build Chrome. It also made Chrome’s source code available openly under the name Chromium Project. One of the most important features that Chrome brought with it was that of sandboxing. In simple words, sandboxing ensured that the contents of one tab stay in that tab. For example, if you accidentally access a sit which has malware or has been hacked, the sandboxing feature ensure that the other tabs will not be affected. Furthermore, the malware from that tab won’t spread into other parts of your computer. Sandboxing also helps in increasing the speed and stability of Chrome. Soon, Chrome evolved to become something that was just more than a browser for PC’s. Over the years, it has grown to be one of the most preferred browsers for laptops, mobiles and tablets as well. Numerous applications such as Opera and Steam also use Chrome’s Blink engine. It is not all sunshine for Google. Recently, Google has drawn criticism as some allege it is stepping into the same spot that Microsoft did years back. With the development of new apps that ‘work best with chrome’ on the rise, some comparisons can certainly be drawn. Apps like Google Meet, Allo, YouTube TV, Google Earth, and YouTube Studio Beta block Microsoft Edge from accessing them and instruct users to download Google Chrome instead. The use of the Google homepage for the ‘propagation’ of Chrome is also something which cannot be ignored Since google is the most widely used search engine, millions of people visit the homepage every day. If you happen to visit the page through a browser other than google, numerous messages will suggest that you download Chrome instead of the regular browser. 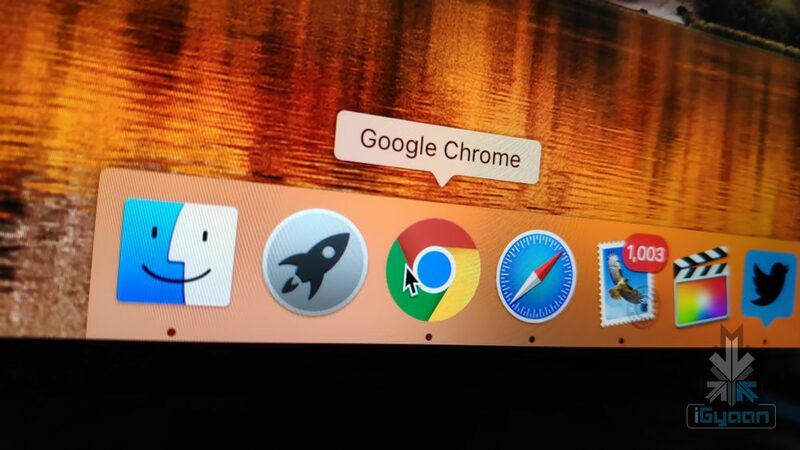 Companies other than Google are also making ‘Chrome only’ apps and websites optimised for Chrome. This surely does remind us of Microsoft’s tactics with IE 6. This is ironic, considering that Google Championed the cause of sticking to open web standards. Over a decade, Chrome has evolved into a platform and it is no longer just an internet browser. Chrome books are extremely successful and perform a majority of tasks revolving around the browser. Considering the fact that it has grown to such an extent within this time, it is exciting to think about what it may bring in the coming few years.